Making the most out of a patch of land, smallholder farmers in Karnataka, India are adopting integrated farming systems to sustain themselves and the environment. Since his teens, Anjaneya has been actively involved in his two-acre family farm in Haliwana village, Karnataka, India. Now in his forties, he feels rejuvenated and has begun a new wave of innovations on his farm, even after all these years. In August, 2017 Anjaneya began applying Integrated Farming System (IFS) practices to his farm and he’s excited that the change is finally paying off, helping him to secure his livelihood and enabling him to further invest in his farm. Indian agriculture faces a serious challenge due to a recent decline in the size of land holdings. According to the Indian Agriculture Census, the size of the average landholding has declined from 2.28 hectares in 1970 to 1.16 hectares in 2010. This trend has made it increasingly difficult for farmers – particularly small and marginal farmers like Anjaneya – to run a sustainably profitable farm, and, should it continue, farmers would be reduced to working a mere 0.68 hectares by 2020 and only 0.32 hectares by 2030. As landholdings dwindle in size and India’s farmers and consumers grow more concerned about the environmental toll of their agricultural systems, farmers are beginning to doubt whether the strategies of the green revolution era are still applicable to the future they want to create for their land and their food. More and more Indians are advocating for alternative practices, such as natural and organic farming. IFS presents an opportunity to align traditional knowledge with holistic farming techniques in order to develop a new strategy for living with nature, nurturing it for sustainable production and livelihoods. Project Saathi – a four-year Local Economic Development project implemented by TechnoServe with the support of Cargill – aims to support smallholders in the Davangere District of Karnataka by training farmers in best practices for agricultural development and diversification. 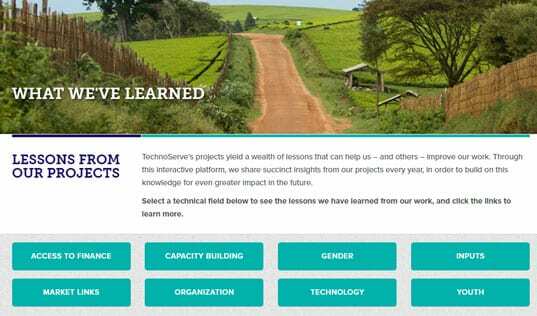 Based on initial surveys, the TechnoServe team decided to focus on increasing the profitability of small landholdings by teaching farmers IFS techniques that are designed to require less space and time, and that ensure reasonable returns to farming households. Using IFS, Anjaneya has been able to better allocate resources, efficiently utilizing his existing systems while simultaneously enhancing their productivity and profitability, and reducing risk. A bird’s eye view of Anjaneya’s two acres would reveal 1.5 acres of areca nut, banana, and legumes, with vegetable crops covering the remaining land. Drip irrigation systems water Anjaneya's crops without wasting a single drop of water. Along the border of his plot he has planted silver oak, Sesbania, castor, and drumstick trees. It’s a pretty bounty, but more than just crops they are also an interconnected system that helps his farm to thrive. Within the plot, the legumes fix nitrogen into the soil, boosting the health and harvest of the vegetables that feed Anjaneya’s family (and his cattle). Anjaneya owns three cows, which he feeds with paddy straw and green leaves from the border crops of his farm. These trees also create a fence to prevent the cattle from extending their grazing to the more tempting farm plot, and provide firewood and a natural trellis that Anjaneya uses to grow creeper plants. In addition to improving the nutritional diversity of his family’s meals, these plants also provide premium prices, all through the power of carefully planted trees. In addition to increasing his production and targeting premium crops, Anjaneya is also improving his farm’s profitability by using IFS to save resources and money. Manure from his livestock is saved and used to produce vermicompost. 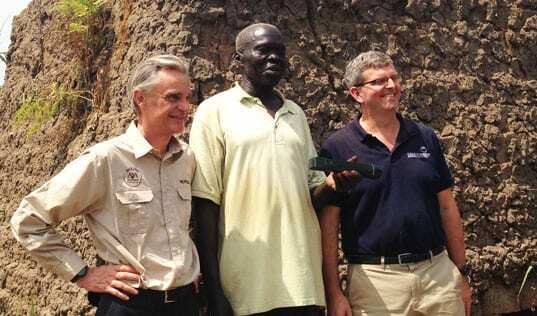 This compost uses certain worm species to create nutrient-rich soil for his farm, and also helps him to minimize his use of chemical fertilizers. This strategy helps Anjaneya to improve his yields while saving money on inputs, and is better for the health of his family and the planet. 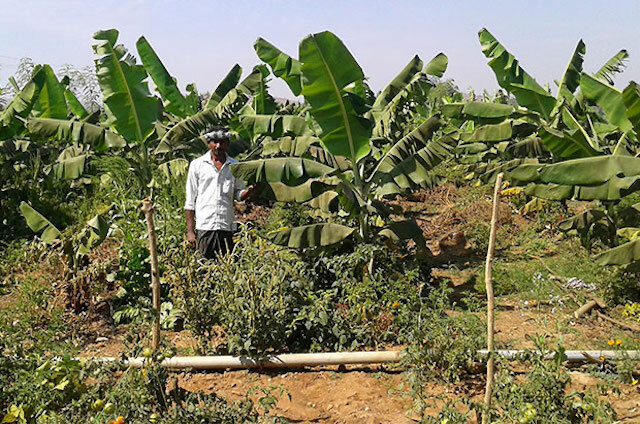 With healthy soil, Anjaneya’s land can support more crops, and TechnoServe teams advised him to intercrop his farm with vegetables such as tomato and spinach, and to add banana trees to his areca nut plantation. 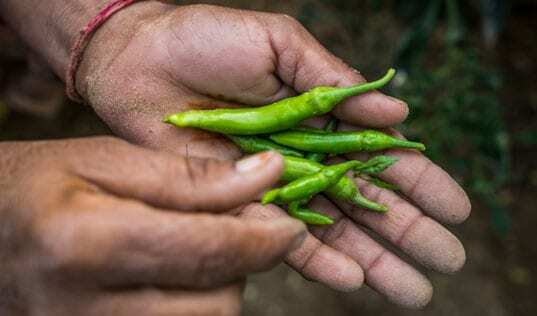 These integrated approaches to farming have not only transformed Anjaneya’s agricultural mindset, but have changed the business dynamics on the farm, yielding better returns. 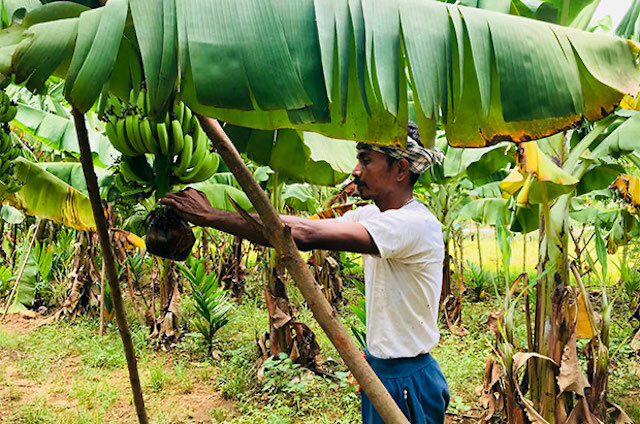 Anjaneya has already sold more than $500 worth of vegetables in the local market and expects sales of over $5,000 from his bananas over the course of the year. 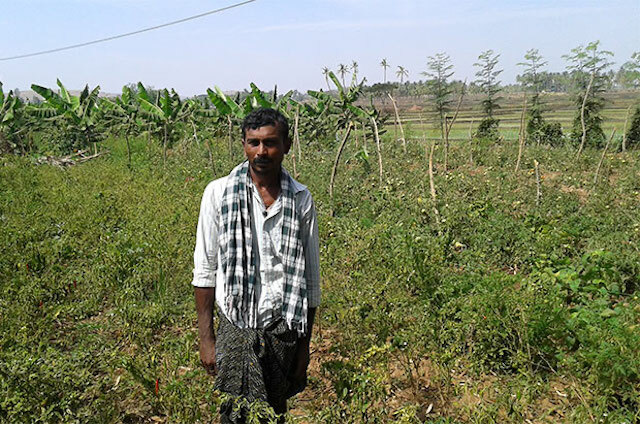 Looking toward a more prosperous future, Anjaneya plans to invest this increased income in mechanized farming equipment that will help him to more efficiently scale IFS on his farm. He also plans to rent the machines to other farmers, and ultimately aims to improve the quality of children’s education through his new financial stability. Anjaneya’s success story has motivated other farmers in his village as well. The growth of his farm showcases the key opportunities of IFS: stabilizing income, rejuvenating soil, improving productivity, strengthening resistance to pests and diseases, and generating chemical-free, health-conscious produce that benefits the environment and society. Five other farmers in his area have now taken up IFS, with Anjaneya providing valuable periodic guidance to ensure that the farms are progressing well. The Saathi Project works in 27 villages in the Davangere district and has enabled 95 farmers to implement IFS across 670 acres of land, using the model to combine traditional agricultural practices with more profitable techniques for a better future for farms, families, and the environment.